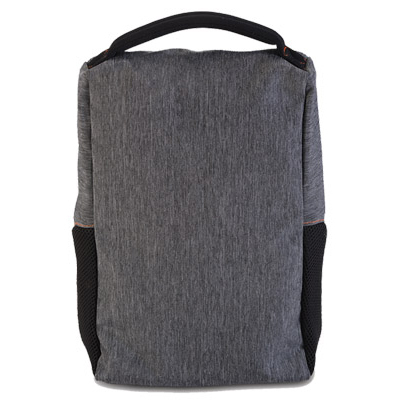 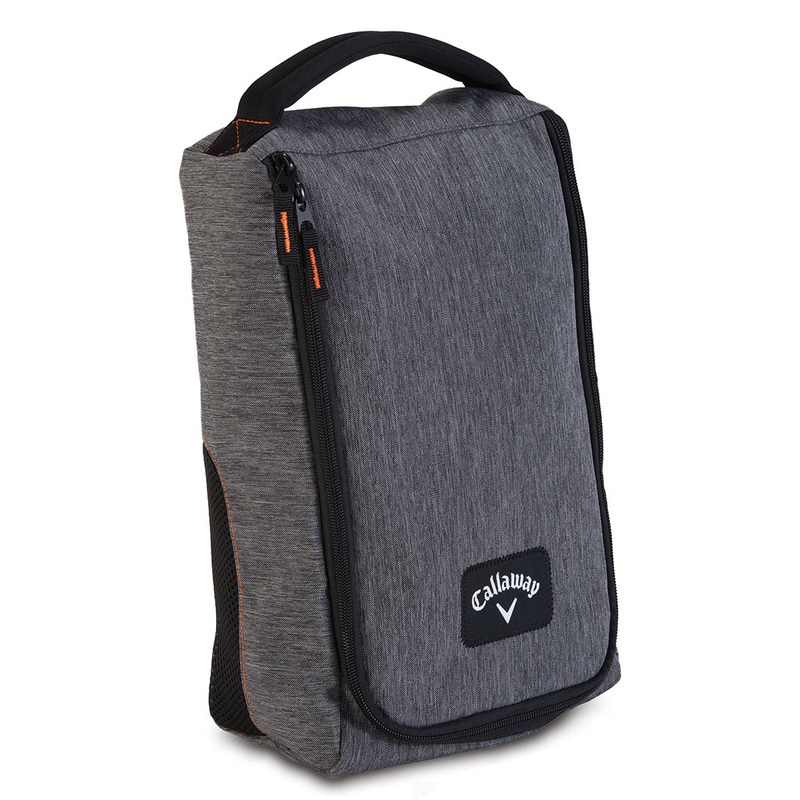 The Clubhouse Collection Shoe Bag provides the ideal storage and transportation solution for your golf shoes. 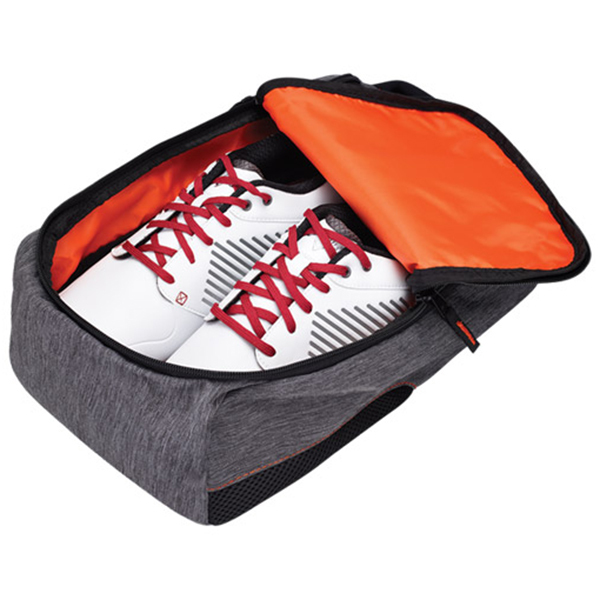 Dual air side air vents provide air circulation to your shoes to keep them dry and to prevent odour build up. 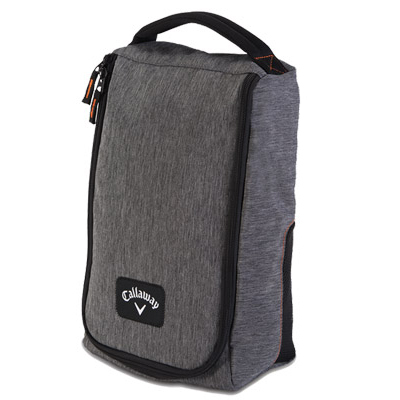 The bag has a strong durable neoprene comfortable grip handle which perfectly fits in to the hand, and for easy access the bag has an easy glide zip, and is highlighted with a Callaway brand logo at the front.